The Construction Industry Federation (CIF) estimates that the level of new residential completions for 2017 will be in the region of 18,000 units with this figure expected to increase to approximately 20,000 units in 2018. This compares to 12,666 units in 2015, representing an overall increase of 42% from 2015-2017. CIF Director General Tom Parlon said: “The ESRI has recently upgraded the desired housing output target from 25,000 per year to 35,000. Commencements last year were around 13,200. This shows the challenge we as a society are facing in terms of housing. This behoves the Government to do everything in its power to help the industry increase supply in a sustainable fashion. The Help to Buy scheme is part of the solution and is having a positive impact on the ability of first time buyers to purchase a new home. There’s a noticeable increase in the percentage of starter homes being constructed and subsequently purchased compared to one year ago. House price increases are not been driven by activity in this segment, all agree that a lack of supply in the second hand home market is driving inflation. The first-time buyer grant is helping increase supply for this segment which in time will take them out of the second hand market. Overall, as ever, increasing supply from its unsustainably low base toward the ESRI’s target is the solution. In addition, data from the Irish Banking and Payments Federation Ireland shows that in Q1 2017, 6,939 mortgages were drawn down, an increase of 14% on Q1 2016. The Construction Industry is responding with new housing supply, which will ultimately assist in easing the pent-up demand. However, it must also have certainty around investment decisions, a collaborative construction environment and the time to bring forward new supply to market. According to CIF analysis of house building activity levels throughout Q1 2017, the rolling 12 month figure shows an increase of +37.6%% in terms of overall commencements for the 12 month period to the end of March 2017. The total commencement figure for 2016 was 13,234. In total 3,860 residential units were commenced in the 3 month period January to March 2017. These figures represent an increase of +33% (958 units) on the total number of units commenced during the same period in 2016. Individual/One Off housing units represent just 26.7% of total commencements in the first 3 months of 2017, and increased by +33.7% on the same period in 2016. Counties: Kildare (+236%), Louth (+163.6%), Meath (+166.5%), Wexford (+172.7%), Dublin City (+49.3%), South County Dublin (+83.4%), Galway City and County (+2800% and +86.8%) showed some of the largest increases in overall commencement numbers. In total 3,896 residential units were completed in the 3 month period January to March 2017. With the rate of house completions in the first 3 months of the year representing a +23.9% increase in activity on the same period in 2016 and a +19% increase on the rolling 12 month period to the end of March 2017. The average monthly completion figure currently stands at 1,298 units. In total 3,786 residential units were registered under the HomeBond house building insurance scheme in the 5 month period January to May 2017. The figures represent an increase of +67.7% (1,529 units) in developer led activity nationally on the same period in 2016. 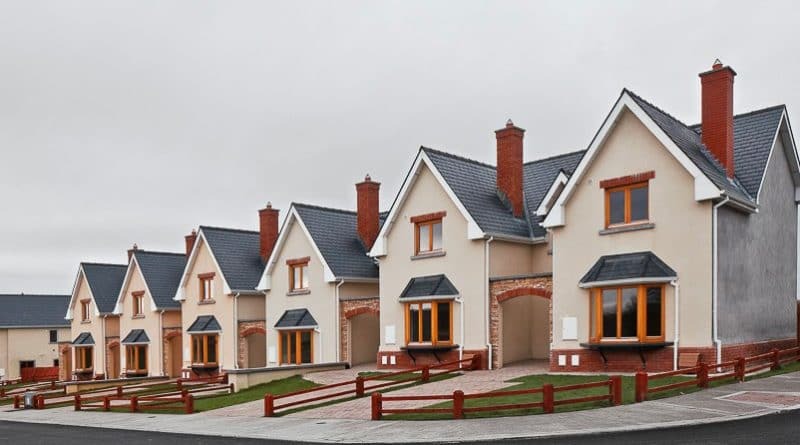 The majority of housing units registered were in Dublin (2,100 units), Meath (587 units), Kildare (255 units), Cork (225) Limerick (121) and Wicklow (119 units).